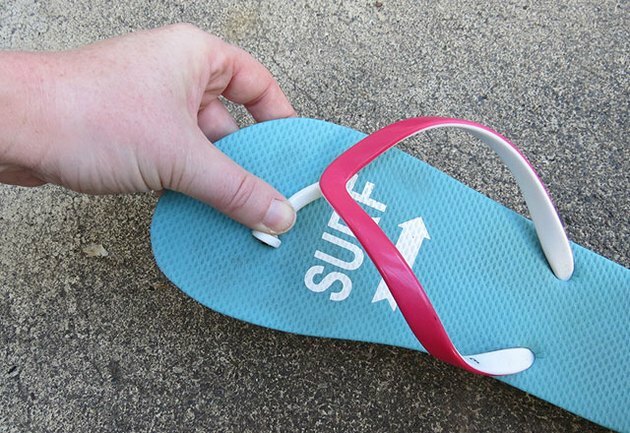 Thong sandals are a staple in most wardrobes during the hot summer months, so what do you do if one breaks while you’re out at the beach or running around town? 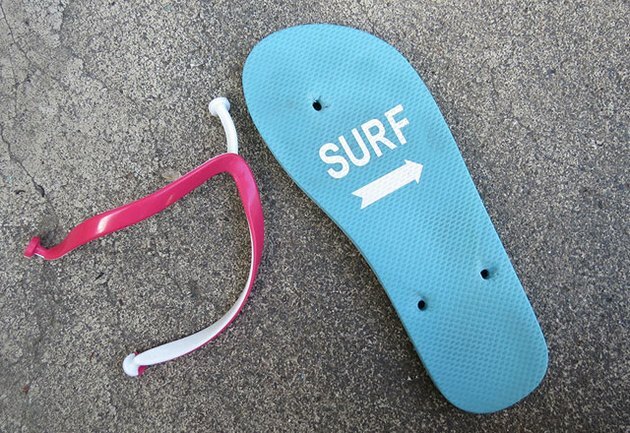 Here are three quick fixes to get you back up and going without having to buy a new pair. If the rubber stud is still in tact but slipped through the hole, rotate the stud to the side and push it back through the hole. Rotating the stud will prevent it from popping out again. 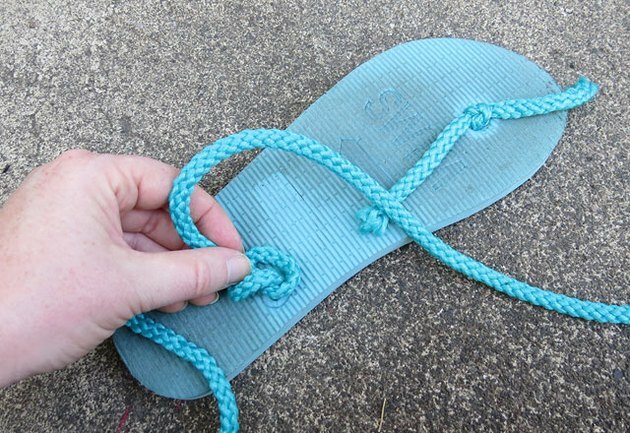 Reattach the straps to the sandal using the above method. Then, push a safety pin through the base of the rubber stud and close. 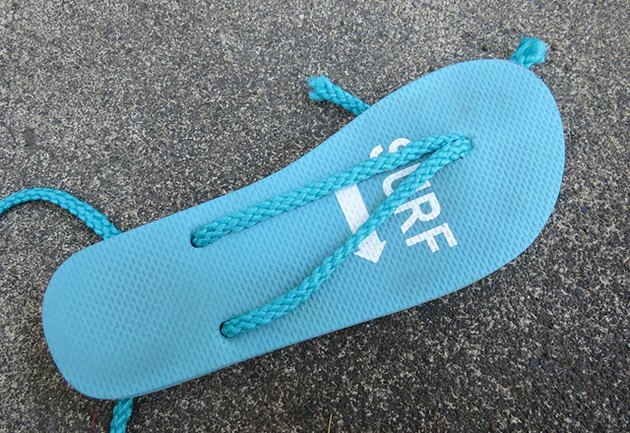 Pull the strap tight so it is flush with the sole. 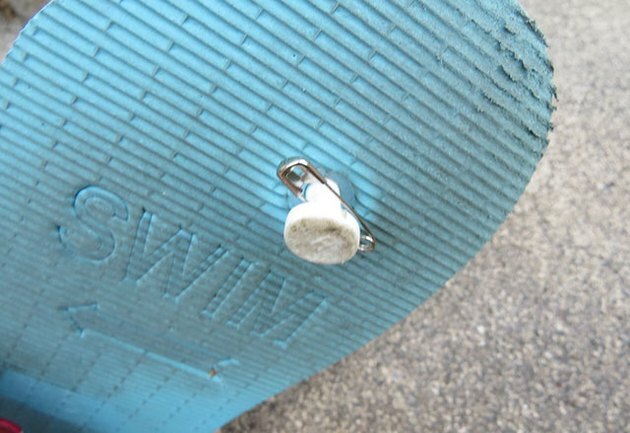 The safety pin will prevent the strap from coming loose. 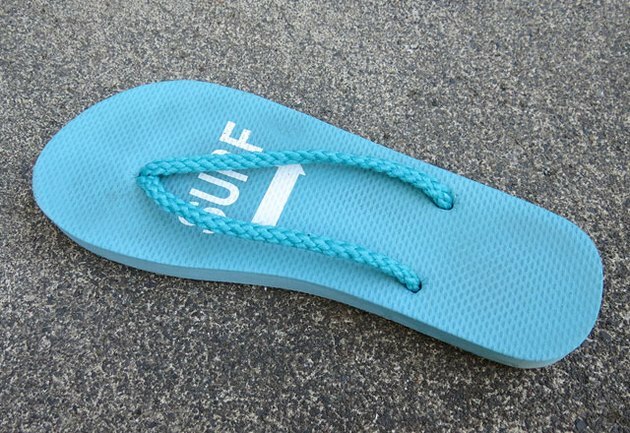 Remove the old strap from the sole. 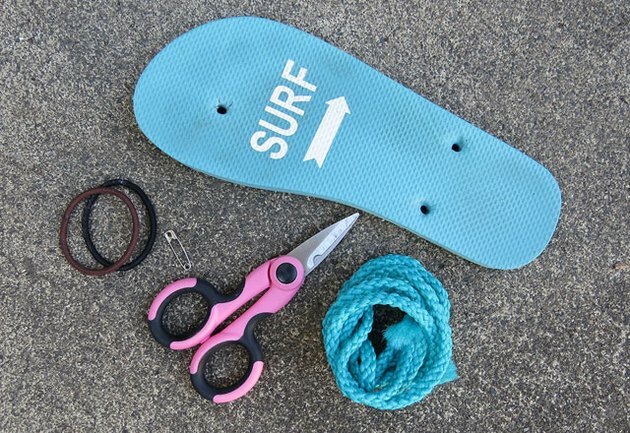 Use scissors to make the hole larger if you have trouble pulling the strap off. 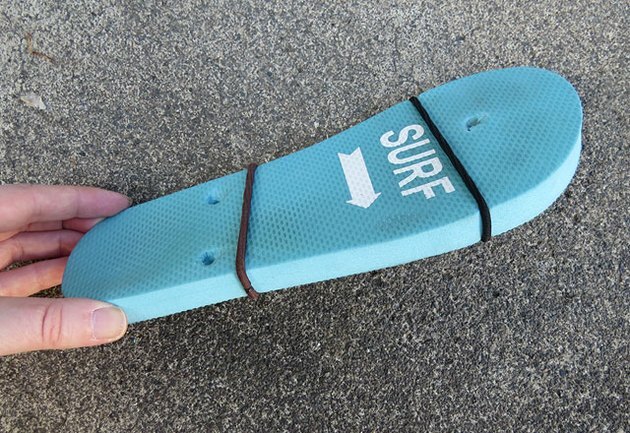 Create new straps by wrapping two hair ties around the sole. 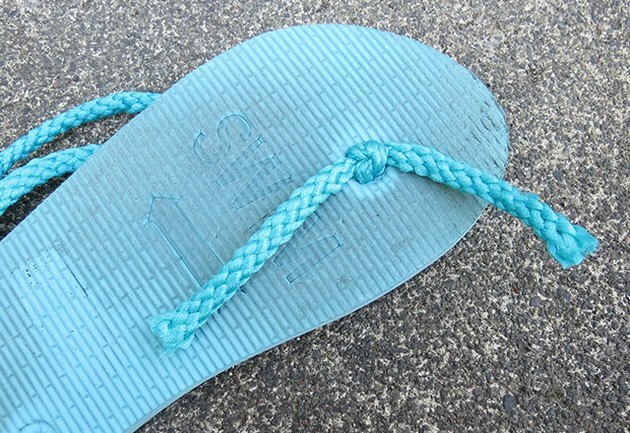 New straps can be made with rope or an old shoe lace. Cut the rope in half and pull both strands through the top hole from front to back. Tie the two strands into a double knot. 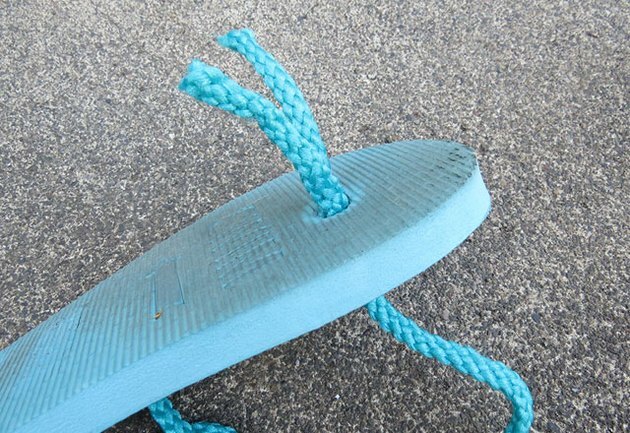 Make sure the knot is large enough that it won't slide back through the hole. 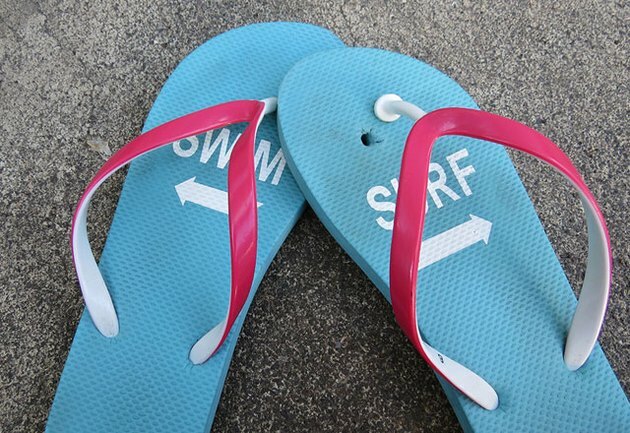 Next, make the side straps. From the top, pull each rope through the side holes. Tie a double knot from the backside to secure. Get creative with the style! 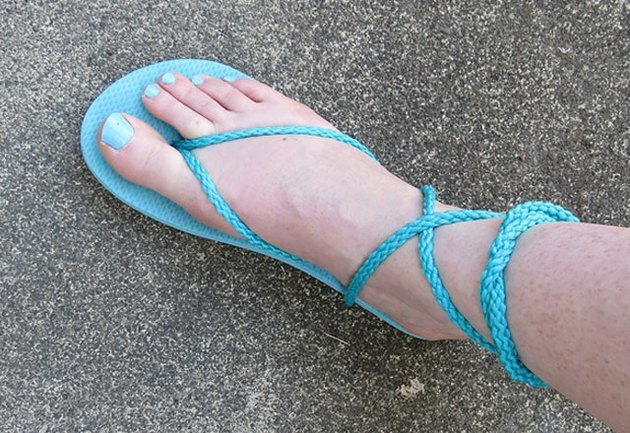 Finish the sandal by criss crossing the rope around your ankle and leg. Or if you would like a simple look, trim the extra rope off just above each knot, making a new strap.